Downtown Dental in Charlottesville wants to provide the very best dental care for you and your family. We offer a wide range of dentistry services to help you keep your mouth clean, healthy and beautiful. In addition to basic dental hygiene and maintenance, we also provide cosmetic dentistry services, endodontics, dentures, dental implants, single day crowns, oral surgery, and several methods of restorative dentistry to help you keep your smile beautiful and comfortable. The ADA recommends cleanings every 6 months for the majority of patients. For some patients, more frequent visits may be recommended. At your cleaning appointment, the hygienist will check the health of your gums and oral tissues. We may take x-rays, as well as look in your mouth, to diagnose any concerns, like cavities, broken teeth or fillings that need replaced. The hygienist will clean any plaque and calculus off your teeth using special instruments and then polish them to a smooth and beautiful shine. 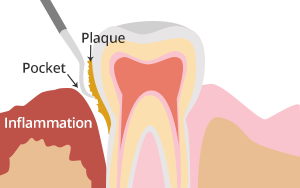 Gum disease can be a big problem if left untreated. It can lead to bad breath, inflammation, abscess, mobile teeth, and eventually tooth loss. At your hygiene visits, our trained hygienists will check your gums. There are small pockets of tissue surrounding every tooth. In a healthy mouth, these pockets can be anywhere from 1-3mm deep. At these levels, you are able to get the bristles of a toothbrush into those areas to keep them clean. Once the pockets become larger, due to swollen gums or bone loss, you will need help to clean out the bacteria and calculus that accumulate in the pocket. During these deep cleanings, we will numb your gums to make everything comfortable.